If you saw my last post, you know that my word of the year is wellness. After I settled on that word, I realized that wellness in homeschool is also a big reason why I chose it! Wellness in homeschool. It sounds great, doesn’t it? 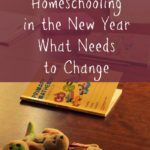 You want your homeschool to be harmonious and your kids to be thriving. Wellness in homeschool is a great way to categorize and frame all the different aspects and challenges we face every day. Is it something that can be forced? Absolutely not. Wellness in homeschool is something that we all need to work towards. There will be tough days, but that doesn’t mean that wellness in homeschool is impossible, just that it will require work. But, since we know everything good in life carries a certain amount of work with it, well it makes sense that wellness in homeschool would be the same. Remember the eight dimensions of wellness we talked about last time? Well, it applies to homeschool as well. This is why using wellness as a guide to goal setting works so well for us. We are able to look at all areas of our life for a specific purpose and work towards that wellness. Wellness in homeschool is no different. If you are interested in going deeper, please join our Townsend House Community! The members of our community get a little extra encouragement and some amazing tools to help cultivate simplicity in your home and homeschool. We would love to have you. You can join us below! What exactly does that mean, wellness in homeschool? It is very simple (of course not easy), wellness in homeschool means that you are in alignment with all dimensions of wellness. You are able to look at those eight dimensions and see that you are making the right choices for your kids and your family. It is very individual. Not everyone will have the same wellness in homeschool. Why? Because each family is different. Each family dynamic is different. You need to make sure that the choices you make for wellness in homeschool align with your values, your reasons for homeschooling. Now, I do believe that we can all have a conversation about the broader definition of wellness in homeschool. We will look through the different areas of wellness and come up with a good foundation of which to build on. This will help you to get a firm grasp on your overall homeschool philosophy, and remind you of the reasons you chose to homeschool in the first place. Wellness in homeschool does not mean that you have arrived. But, it is something that we will strive towards each day. It becomes our guide when thinking about curriculum, extra-curricular activities, family commitments, and volunteering. Let’s get started with the eight dimensions of wellness and turn them into something we understand for wellness in homeschool. Have you ever had a bad homeschool day where nothing seems to go right and you are hiding in the bathroom with the bag of chocolate chips you were supposed to use for baking cookies with your kids? Only me? OK moving on! Emotional wellness in homeschool means that you feel good about your days overall. Will there be bad days? Absolutely. I cannot tell you that you will ever “arrive” so to speak. It is something you always work on. But, having emotional wellness in homeschool means that you have strategies to deal with the urgent and important. You have ideas to help you get through those hard days, so that you aren’t in tears at the end of the day, and questioning whether you made the right decision in homeschooling. It also means that you are helping your kids with their own emotional wellness in homeschool. On the hard days, finding something that will help your child deal with those strong feelings. This can be a great strategy for parenting in general. We all want our kids to succeed and figure out ways to deal with strong emotions. Demonstrating that emotional wellness in homeschool, during our homeschool days, will help your kids to learn the right ways to handle their own struggles. Do you remember when they started cutting recess time in elementary school? We do not need to do that. 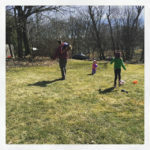 Letting our kids get out into nature and to burn off their energy is going to help them with their overall emotional wellness, and help them in their emotional wellness in homeschool as well. As a Christian, it is important to me to show spiritual wellness to my children. 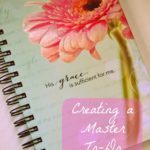 Spiritual wellness in homeschool is a little different. Instead of it being an individual endeavor, it is something you work on together as a family. As Christians who homeschool, making sure our kids are developing good character, learning about the Bible, and starting to grow in relationship to Christ are all ways that spiritual wellness in homeschool is shown. Like emotional wellness in homeschool, this can be something that is an overall family wellness strategy. It doesn’t just apply to homeschool, but as homeschoolers, we have the unique opportunity to spend a lot of time with our kids. And this helps them to develop the areas of life that are important to us. In our home, this means having Bible as part of our homeschool day, and this is outside of family and individual devotions. This is probably the easiest area to accommodate wellness in homeschool. The reason is obvious, we have chosen to educate our children at home. 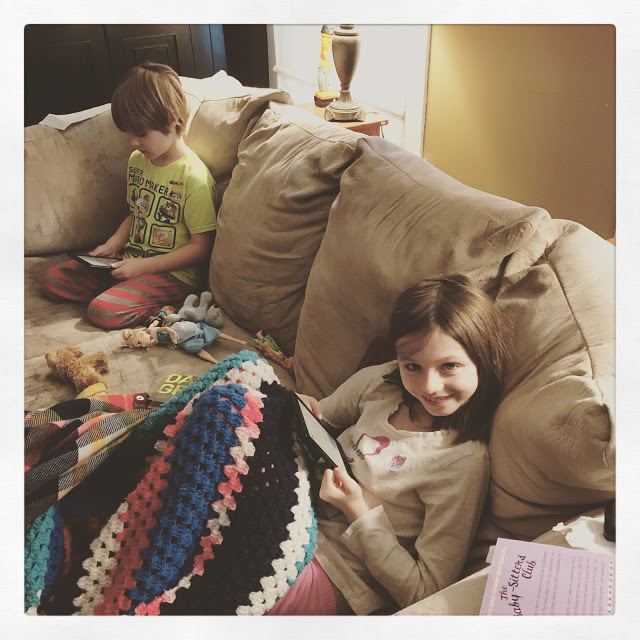 Having intellectual wellness in homeschool is kind of a no-brainer. It is probably one of the top reasons we homeschool in the first place. We want to make sure that they are learning what we want them to learn. Intellectual wellness in homeschool then means that we have the right tools for our children. We are moving in the direction that we see fit – whether it is a type of curriculum, a type of technology, or keeping our kids in good reading material, these all are part of intellectual wellness in homeschool. We also want to make sure that we are showing our children how to own their own education. This means that as they are getting older we are developing their own intellectual wellness. This definitely can be a struggle, but I think that it is a great challenge to have. You partner with your kids and work together to develop the best education for them. Similar to what I said above about recess, our kids are not cooped up all day in a building. You have the ability to get up and move, to go outside and run off some energy. These are contributing factors to physical wellness in homeschool. Making sure that our kids stay active is important. Sports are one way to achieve physical wellness. However, sports are not the only way to physical wellness, and especially not physical wellness in homeschool. If your kids struggle to get outside more, start slow. Set a timer to get everyone out of the house for a quick walk around the block. It helps to clear everyone’s mind and move forward with the day. 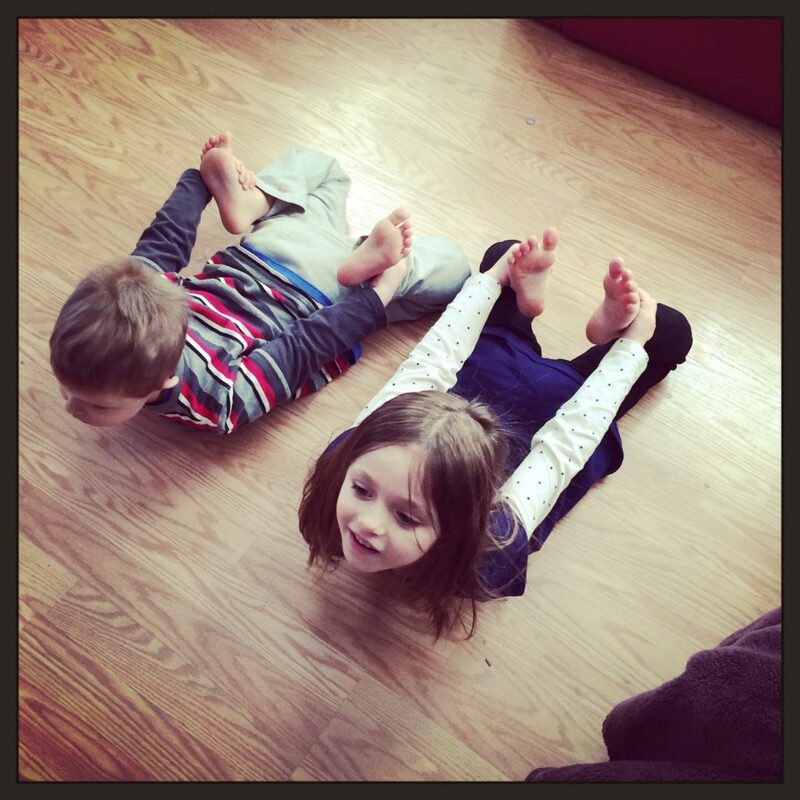 If you are in the polar vortex area of the country, turn on Cosmic Kids Yoga, or Yoga with Adrienne if you have older kids. These stretches and breathing exercises help to center everyone. Another tip I have, get an indoor trampoline. Santa brought us this trampoline for Christmas two years ago, and it was the best present he ever brought the kids! This is an interesting one. We homeschool most of the time in and around our homes. We want that feeling of calm in the home as well as the ability to switch gears and get down to the business of homeschool. Environmental wellness in homeschool is going to be just as much about surface and visual clutter as it is about the feeling your home brings. Is it calming? Is it stressful? The smells, the lighting, everything will contribute to environmental wellness in homeschool. As I am writing this, I see that my kids’ desks are a complete disaster after a busy day with an unforeseen visit from the plumber. We are not ready for our morning of school. If I asked the kids to sit down with their desks a mess, and art projects everywhere, to do their math lesson, what do you think the likelihood of success would be for that math lesson? Probably not great. However, every person is different, and if being surrounded by art projects helps your child make it through the math lesson, that is OK! It is finding out what works well for your kids and for you. We all want to have financial wellness. 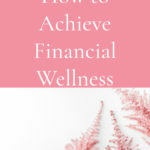 Financial wellness in homeschool can be a little more difficult. Most of us are one income families, making the choice to have one parent stay home and educate our kids. And with that comes some financial hardship. We also have the added excitement of purchasing all of the curriculum, books, and tools that our children need each and every school year. However, we also can plan ahead. If you have more than one child, most likely some of your curricula will get reused. And most of us have the added benefit of a local library. Financial wellness in homeschool means that we feel secure. When you are stressed about money, it is hard to give your kids the best of you. We are going to be talking a lot more about financial wellness in homeschool over the coming weeks. Make sure you sign up for our newsletter to get all of that awesome information! I have been working on some free tools I think you will love! This is one of the most exciting areas of wellness! Occupational wellness obviously means that you are in an occupation that you love. When we flip this into occupational wellness in homeschool we are able to work with our kids to develop their interests. These interests most likely will be part of how they choose a career down the road. We can give our kids the opportunity to apprentice with someone locally when they are in the middle grades or older. We can follow all the rabbit trails. And most important in my family, teach a love of entrepreneurship. Giving our children the option to create a business they love is something that is exciting for them, and to watch as a parent. The final dimension of wellness is social wellness. We have all heard the socialization questions people ask of homeschoolers. And we all know that they are ludicrous questions. Social wellness in homeschool is something that most of us are super sensitive to because of the questions. People may question your curriculum choices, but more likely they question whether your kids are being “socialized.” Since the answer is obviously yes, we are going to move on to some other parts of social wellness in homeschool. You can look at things like a co-op, or volunteer activities to fill that social wellness need. The problem becomes when your kids aren’t able to have much social interaction. To most of us this seems like it could never happen. However, some people live far away from town. Others have no homeschool community in their area to tap into. If you aren’t plugged into a church or a social circle, this can become difficult. But, there are ways around this! I can’t wait to discuss them with you! When you look at the eight dimensions of wellness, can you see how they will line up in your homeschool? Can you go through them and figure out the areas you may be struggling in? You are going to have a little bit of homework now. I want you to go through these eight dimensions of wellness and think about your homeschool. Consider each dimension of wellness in homeschool. Give yourself a rating on how you think you are doing in each of the eight areas. Then write down a few thoughts about each of these areas. Does one jump off the page at you? Then I want you to e-mail me and let me know which area you feel you need the most help with. Together, we will be going through these eight areas to figure out how to improve. How do we make our homeschools the best they can be? That is what I want to explore with you, and help you find! If you are part of the Townsend House Community I will be sending you something you can print out to go through this exercise. That should be going out next week. If you want to be part of the community and get that, please feel free to join! If not, a plain piece of paper will work just as well! I want you to really sit down and consider these eight areas of wellness in homeschool. Try to take 30 minutes and sit and flesh out those feelings. It will be a big help as we move through the different areas and figure out exactly how we want our homeschools to function as we go forward. Does one of the areas of wellness immediately jump out at you as the one you need to work on? Why? E-mail me and let me know!